I was of the opinion that the production of mushrooms involved dark spaces, damp conditions and lots of soil. Well, my recent visit to Cornwalls only Mushroom Farm quashed that idea completely. I also had this vision of how it might look too, wrong again. Kristian is the brains behind The Cornish Mushroom Company. A relatively new venture. 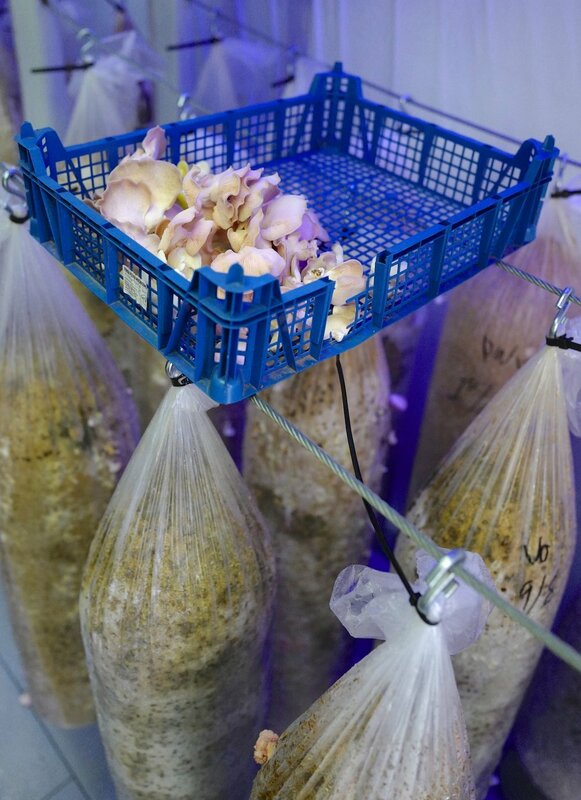 Keen to capitalise on the fact that Cornwall does not have another mushroom farm, he started his business 10 months ago. What’s really interesting about what Kristian has set up here is the fact that he had no knowledge of this type of business at all. That was until he came across a book left in an Airbnb, about the importance of mushrooms on our planet. 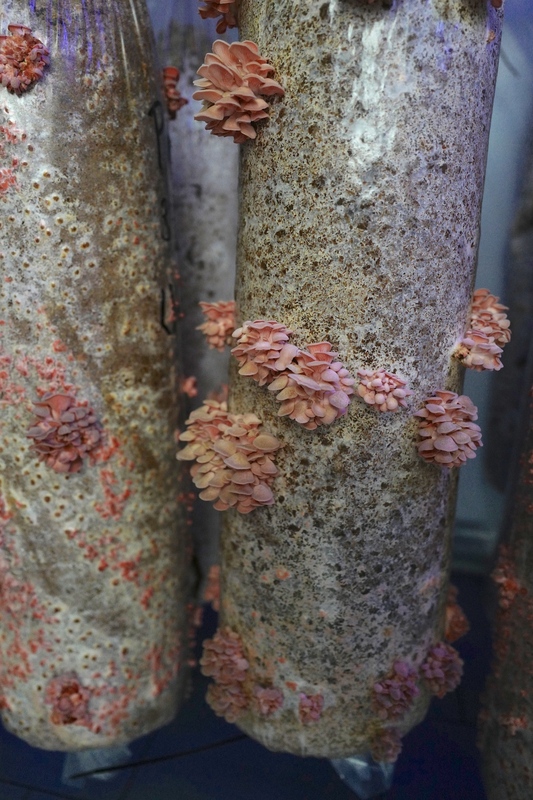 He very quickly became almost obsessed with mycology (a branch of biology concerned with the study of fungi) After reading it, Kristians partner, Kelley, checked on google and discovered that there were no other farms in Cornwall and said “you should do that”. Kristians previous background was in Finance. Worlds apart. After years and years of city life, working in the office until silly o’clock, he and has family had enough of that life and Cornwall reached out. His childhood memories of our glorious land pushed him on to make the move and a better life came calling. In addition to that he just happened to like to surf. A bonus if you’re thinking of living down here. So what did I find when I visited the farm? Not what I expected. I found several numbered rooms filled with coloured lights containing large sock shaped bags with mushrooms growing out of them. 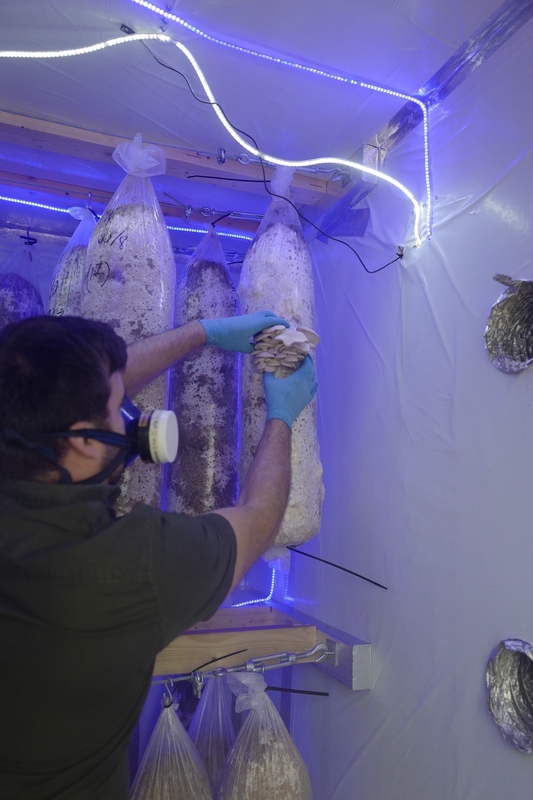 The rooms were numbered from 1 to 4 which dictated the growth pattern of the mushrooms inside, one being the start of the growing process and four being the harvesting room. The air and the temperature were controlled and the doors remained shut at all times, apart from when we went in there. As with any F&B business I visit, I have to taste the product and the taste was unlike any mushrooms I’d tasted in the past. Bloody lovely. nothing like you’d get from a supermarket. All in all, a very interesting visit and yet again, not for the first time, the technical aspect of Kristians business went way over my head. Sorry Kristian. I got a little bit of what you said - honest. Kristian told me “The simplicity of the mushroom lifecycle is fascinating and the varying species, colours and tastes still amazes me. Now we are one of the biggest mushroom producers in the country and going to the farm each day is still magical, compared to walking into an office.